Create PDF documents from Word Docx documents without any restrictions. (Microsoft Office 2003 Word doc will be supported soon). 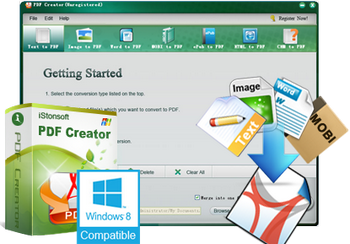 PDF Creator can generate PDF files from multiple image formats, such as JPEG / JPG, GIF, BMP, PNG, TIFF, etc. We upgrade the PDF creation software to support to create PDF from MOBI files, CHM, HTML or ePub eBooks without any quality loss. IStonsoft PDF Creator also allows you to easily create PDF from TEXT (.txt) files. PDF Protection: There are two encryption systems designed by PDF Creator software. One is user password which can disallow PDF readers to open the document. The other is owner password to prevent unauthorized copying of information contained inside of the PDF. The password is 40bit to 128 bit. Merge PDF: Combing various format files into one PDF document which will display according to the file loading sequence. 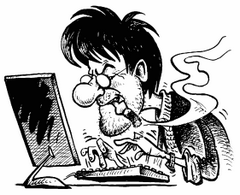 High compression rate: All text objects and images can be compressed to reduce the file size of a PDF. There are plentiful editing functions designed by PDF Creator for professional users to create optimized PDF files. Flexible options: PDF Creator provides various ways to complete creating PDF files. You can drag and drop the target files to the program directly instead of clicking the specified button, customize an output folder for saving the created PDF instead of saving in the source folder, suspend and continue the conversion anytime as you like, etc. 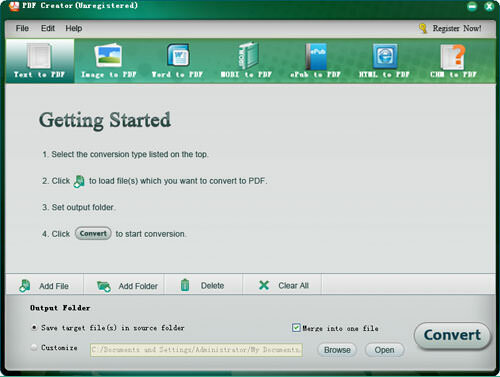 Batch conversion: Unlimited files can be imported to the program and you can convert them to PDF in a batch to save your time and energy greatly. PDF Creator can output PDF document (1.2 / 1.3 / 1.4) compatible with Adobe Acrobat 9.0. The created PDF files can be opened with almost all PDF reading apps. Multi-languages ​​supported: English, Italian, Portuguese, German, French, Spanish, Traditional Chinese, Simplified Chinese are available. Stand-alone application: Works independently without the help from any third-party software, such as Adobe Acrobat.